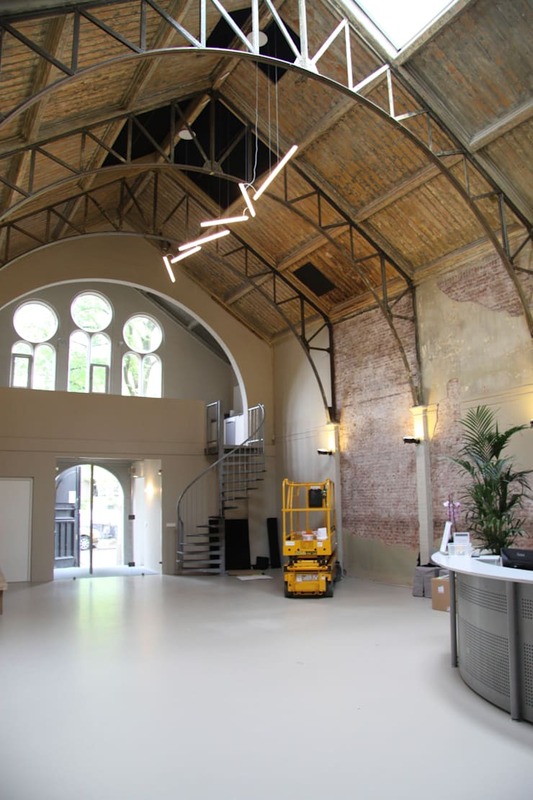 After the renovation of a former church into a doctor’s office on the Wittekade in Amsterdam, it became apparent that the acoustics were truly something to be desired. Patients often had difficulty even understanding the doctor. Due to the use of hard materials like concrete flooring and smoothly plastered walls, this problem is very common. 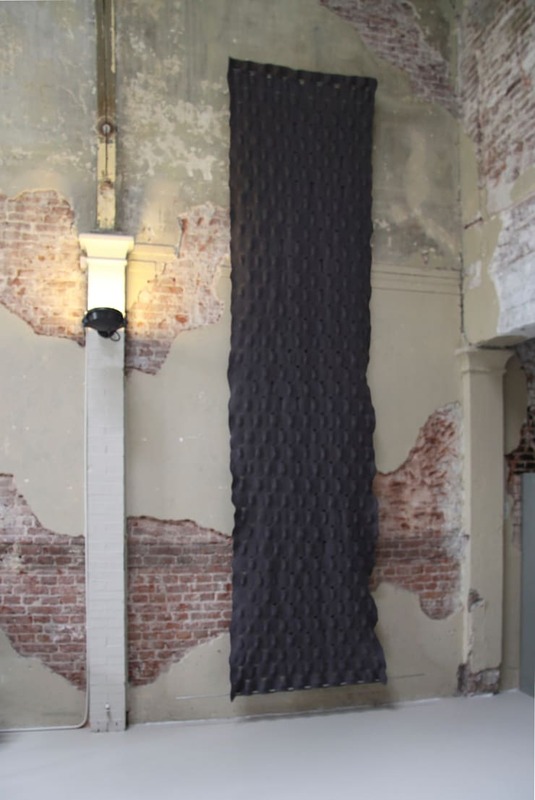 Petra Vonk was approached to solve this issue without violating the clean, modern interior’s appearance. 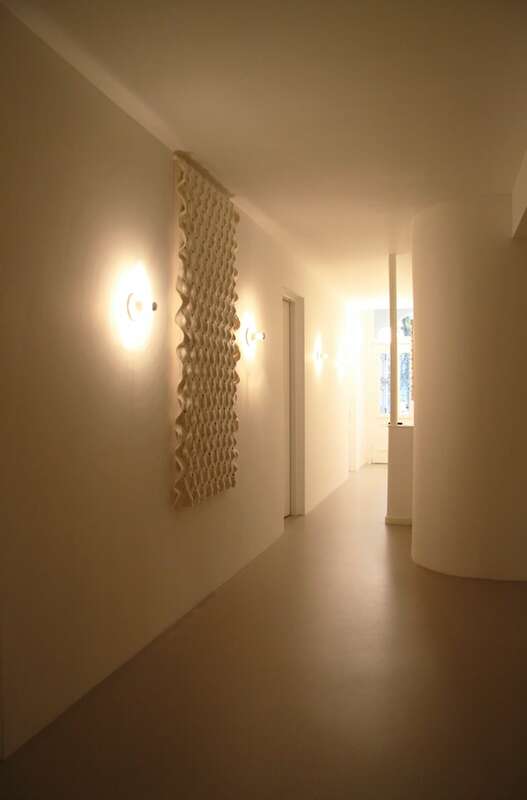 Through the application of tactile materials with good acoustic properties, Vonk was able to create a beautiful solution to what had been an unmanageable problem. 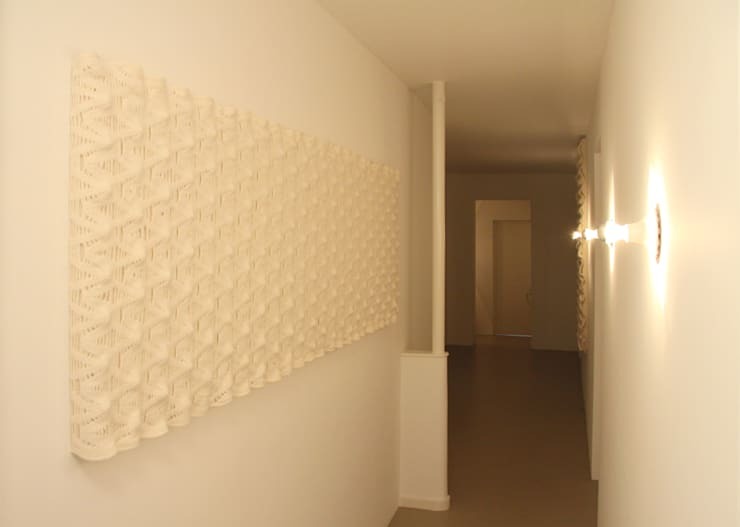 The acoustics were optimized by applying 2 wall hangings in every consult room, resulting in clear audibility and beautiful works of art on the wall. 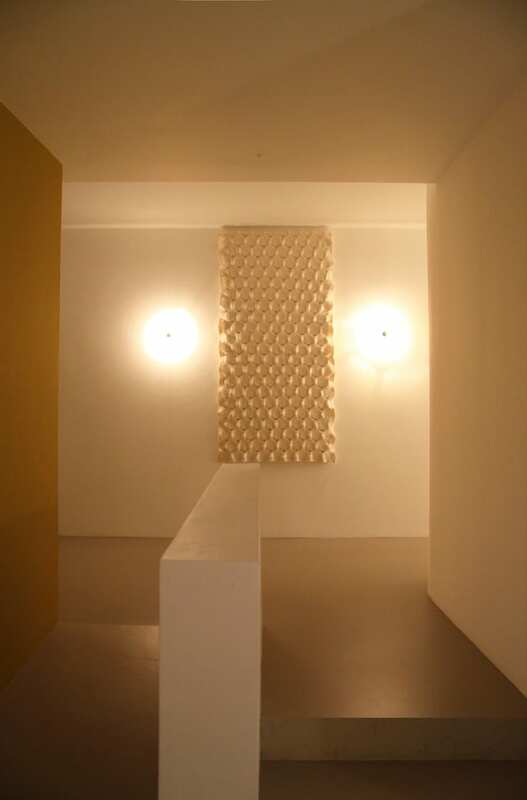 The hollow sounding corridors leading to the consult rooms asked for wall dressings to better the acoustics to a more pleasant level. 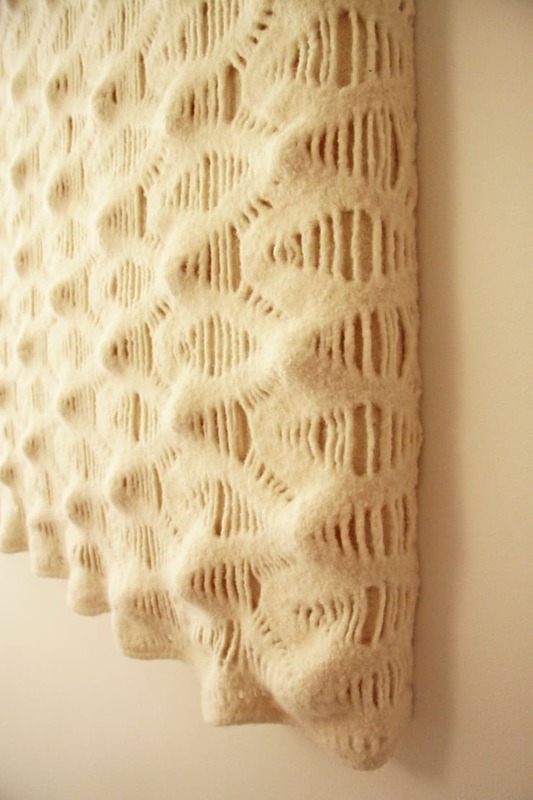 Detail of knitted and felted cloth.